Chino Farms is a famous farmstand in Rancho Santa Fe, CA, which is a little north of San Diego, my former haunting grounds. I had no clue but they apparently sell mini buttermilk corn muffins there that are pretty good. The recipe was in my Bon Appetit issue this month so I had to try it for myself. The recipe was for those mini muffins but I just made them regular muffin size. I had to bake them for a slightly longer period. 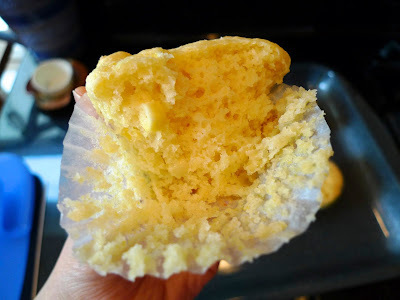 This recipe makes 16 mini muffins or in my case, 6 regular size muffins. 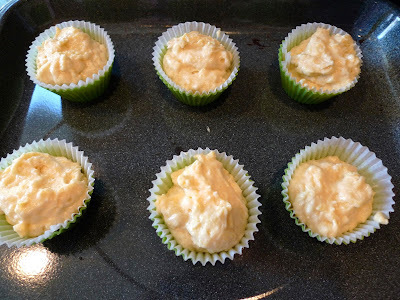 Preheat oven to 400 F. Coat muffin cups with nonstick spray. 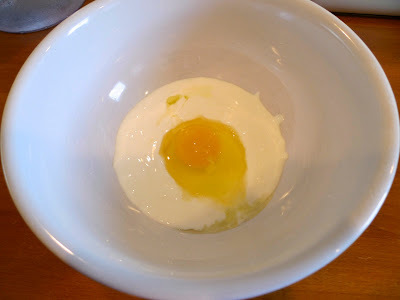 Whisk sour cream, buttermilk, and egg in a medium bowl. 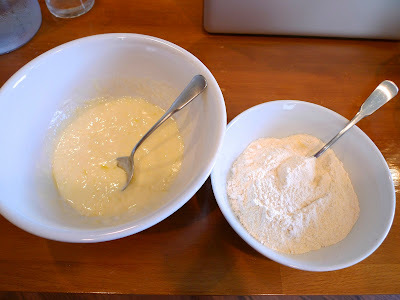 Whisk flour, cornmeal, sugar, baking powder, and salt in medium bowl. 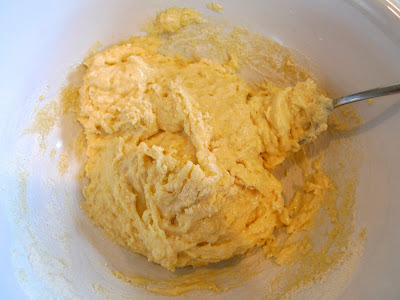 Whisk in melted butter. Stir in dry ingredients. 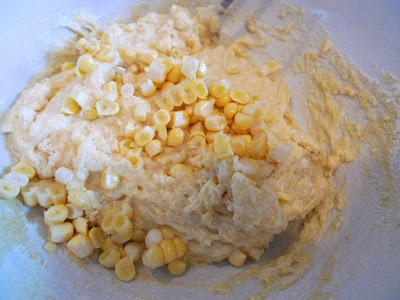 Add corn kernels and dill (if you are using it); fold just to incorporate. Divide among prepared muffin cups. Bake muffins until puffed and brown around edges, 13 to 15 minutes (tops will not brown). Cool slightly. Remove muffins from pan. Serve slightly warm or at room temperature. These only resulted in 6 muffins, one of which I ate, so I had to make another batch to bring to my friend's BBQ. 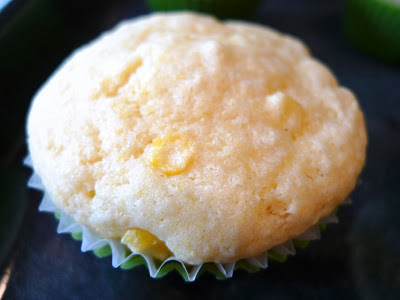 These are definitely what the name implies, a corn muffin. They are not as dense as corn bread, but I liked these. They were light and fluffy and delicious with a hint of butter. It's like eating a corn on the cob in a muffin form. I asked my friends to choose between this one and the Honey Cornbread, which I also brought to the BBQ, and the majority seemed to prefer the other one better. That recipe is coming up.